I was an active duty Air Force service member for 20 years, 28 days. I served my country proudly stateside, in a support function that most don’t respect nor recognize. I personally will never forgive myself for not having “boots on the ground” overseas for this was the sole reason I joined. But I served, I sacrificed, and I wore my uniform proudly every single day for more than half my life. And I miss it. And it hurts. And sadly, yes, the flood gates have been opened. Someone pass me a tissue, PLEASE. My Memorial Day wasn’t filled with BBQ’s or parties. 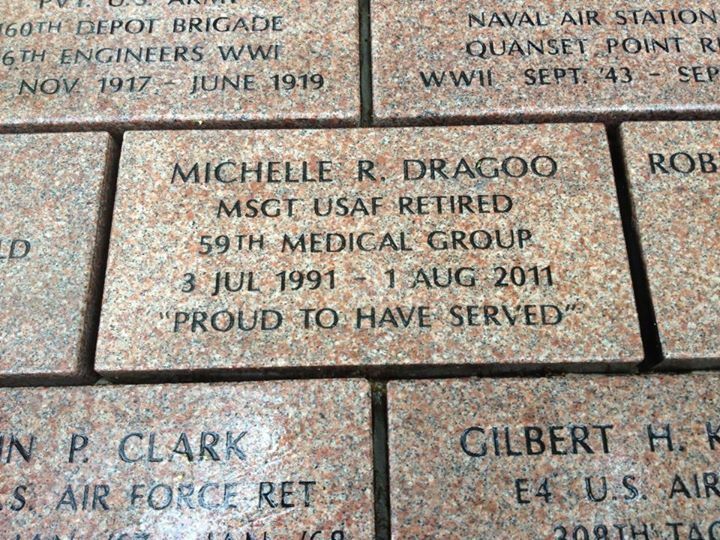 We traveled to Wisconsin to view the stones my Father (a Vietnam vet) had dedicated for both my husband and myself. The ceremony was canceled due to nasty weather, but we still stood proudly at the memorial to view our stones laid carefully amongst other service member’s stones. I tried to hold back all of my emotion, my heartache in missing my fellow service brothers and sisters, but as we drove back south towards home I found I couldn’t hold back my tears. I closed my eyes, listened to country music and just took deep breaths. I recalled so many memories…times when I was told I would “make it all the way to the top tier” and become a Chief, yet sadly I only retired as a Master Sergeant. My dreams will always be there, and I’ve let them go for the most part, but on days like today I am catapulted back to a time when serving my country in what little capacity I did, well, was what I DID. And I loved it…I still do. I always will. But my time as active duty ended two years ago. Now my role has changed to an Army Wife. And then his post (very rare) on this picture tonight made me realize my time to serve isn’t over. He wrote “The true strength behind a paratrooper… family.” Keep in mind, my husband rarely posts on Facebook, so this meant a lot to me. I now need to dig deep, and serve in even a bigger capacity which means taking care of our family while he is gone so he can focus on his missions at hand. But still, I miss the uniform and all it represented. I miss the camaraderie, the pride, and I miss the closeness of the military. I feel very lost and alone without it these days. But my Grandfather, Father, and husband amidst many others will remain my heroes’, and I will hang on to that feeling for the rest of my life. I will allow myself this night of weakness, and keep in my heart the new beginnings of tomorrow. I will allow my heart to be heavy with the ripping sounds of my husband’s suitcases being zipped, but I will realize I have been doing this on my own for quite some time now and that I WILL get past the hard days and appreciate the good days. Thank you for your service Michelle. 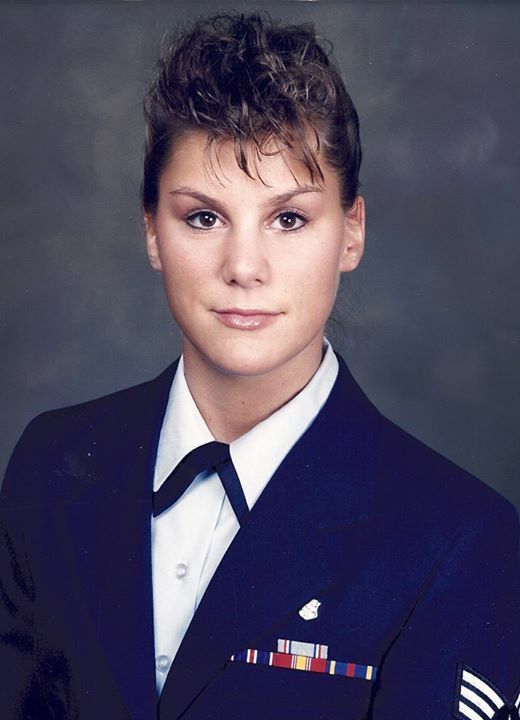 Michelle, you served our country proudly……and anyone that neither recognizes nor respects that service is never going to be able to, nor be made to understand the value of your service and all those who serve. I feel truly sorry for those who enjoy the freedom won by, protected by, and insured by those who have answered this country's call, yet are unable or unwilling to show due respect to those who have served.I am not one of those people…..and regardless of the function you performed, you stepped up when few would. We've never met, but I have the utmost respect for you, your husband, and your father. Thank you again for the sacrifices you made, and are now continuing to make on behalf of the rest of us.Happy Memorial Day! 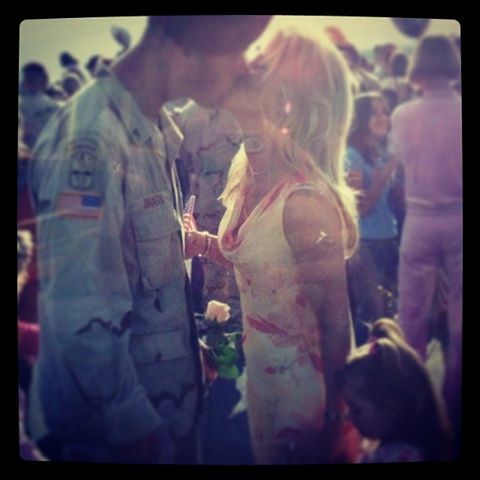 Michelle, thank you not only for your service but for the support you give to your husband. As a military wife I know how difficult it can be. And as a soon (within the year) mom of a military son I am sure I am in for a whole new mess of emotions.